i love this outfit. you are so cute. little baby is getting to be so big. so exciting. don't worry you are still tiny. 11 inches?! he's going to be such a tall boy! you look darling. BTW: I absolutely love your lipstick...what shade is it? wait, is that THIS sunday?! you look so great again. lovely outfit - ovely photos! 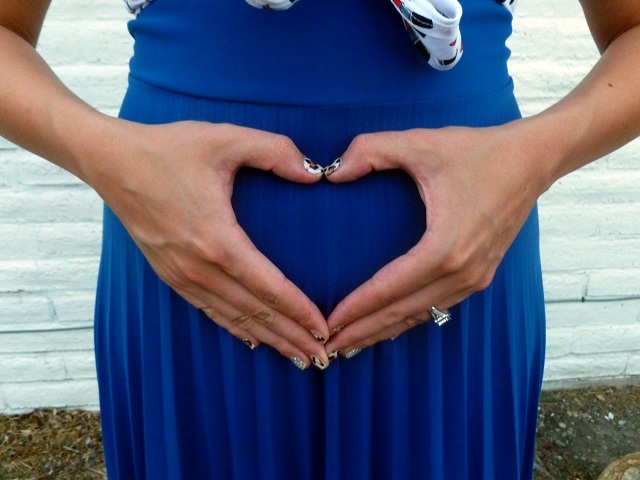 Cutest bump ever! 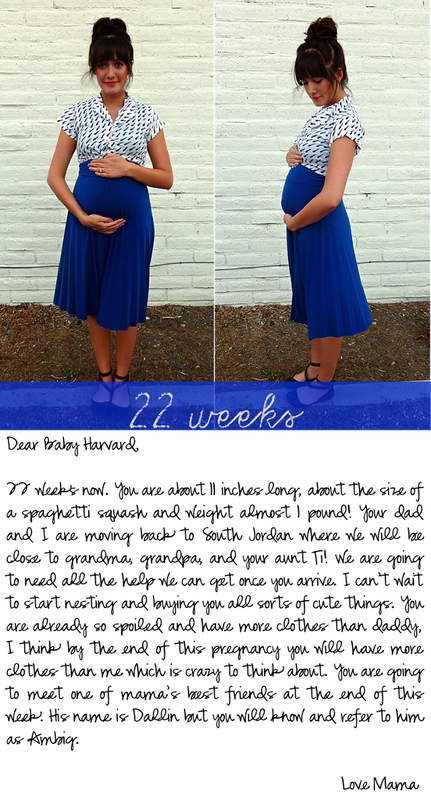 Love your growing belly pictures :) And that blue looks great on you! You look gorgeous, happy 22 weeks! I love this post-congratulations on your pregnancy! You look beautiful!! you are a very stylish mom to be! You are so adorable. 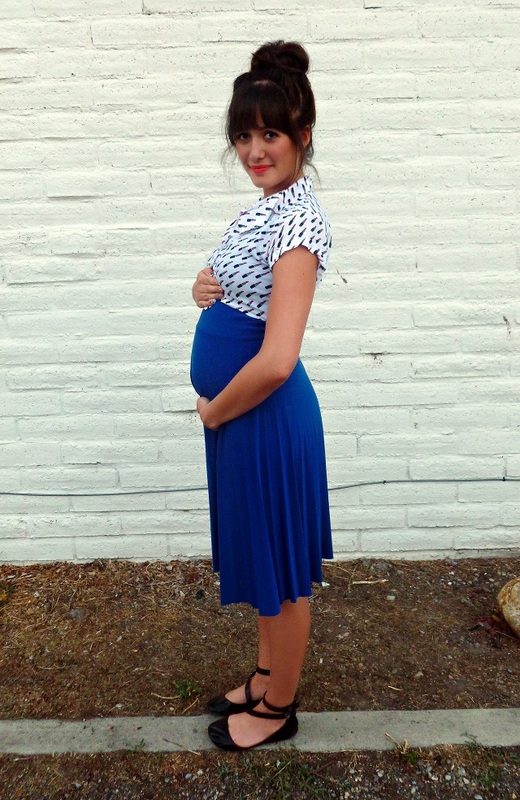 You hardly even look pregnant until you turn to the side! Love watching your growing tummy and style! you're such a cute preggo! love the outfit! i cant get enouph of you, gorgeous!!! Muah! love the outfit and the letter to your son! I love these sweet letters! :) And your outfit is adorable! Gorgeous dress. Great choice, Mom. And super-cute flats. You tyle it up all so nicely. Now, for Non-Americans, where is south Jordan, pls? My gosh, moving? What a nightmare (I hate moving), it is as much a mental task as it is a physical one. I did this same thing throughout my pregnancy. You are so precious! You look so adorable! Cute outfit and very nice pictures. Such a pretty mama to be. You are so cute and I love this outfit! Visiting from Modern Modest Beauty! And I'm your newest follower!! I read about your blog over at Jenny and I'm so happy that I took a closer look! 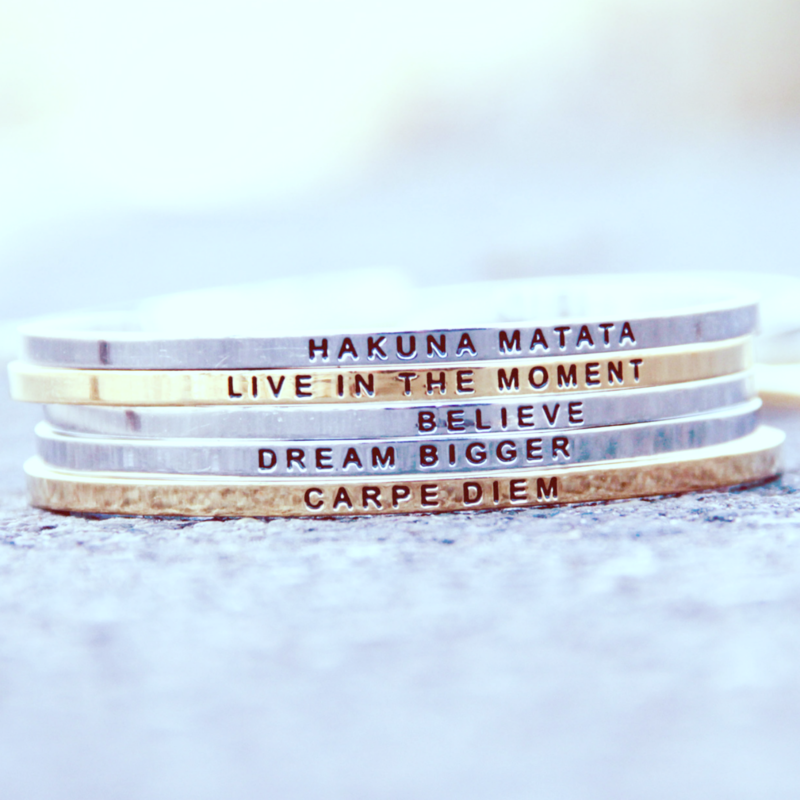 I love your blog and your doing a really sweet series here! Thanks for the inspiration! Your note is so cute Cecilia! Your baby boy is going to be so doted on when he arrives ^_^ Love the dress on you too! Could you be any cuter? I don't think so. you look great, madame! and i love the letter you wrote! "more clothes than daddy" how funny. and yes, I can't wait to nest and get everything ready either... Except I'll be doing it AFTER the baby when we move to California! I LOVE that I can definitely see your bump now! wahoo, and you are dressing it so lovely! you look absolutely gorgeous! 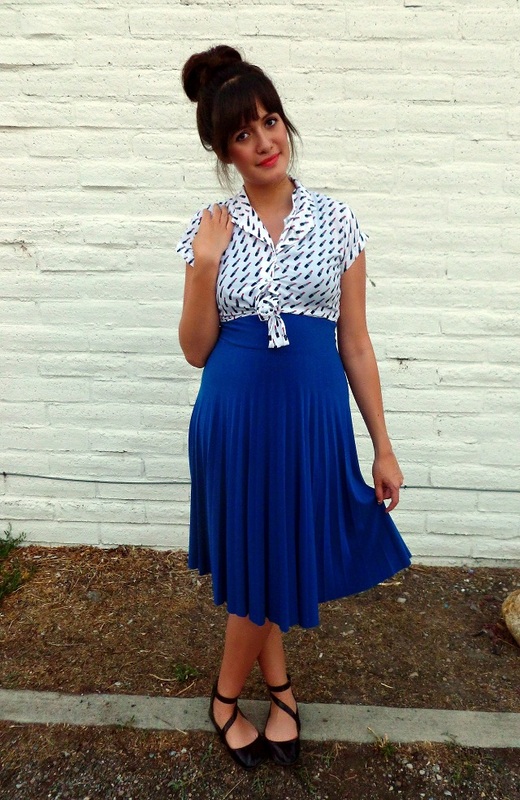 I love the bright blue skirt! Dang cute. You look lovelyy :)...love the top! Wow, you and your baby bump look lovely! Your maternity series is great! I'm having fun looking through even though it's over and baby is here!